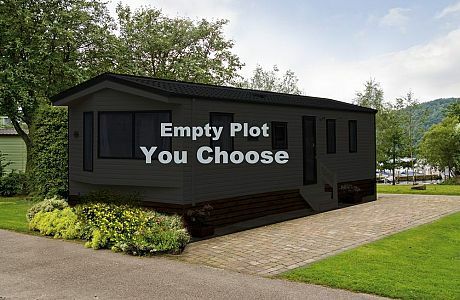 Sited on Wardon Hill just off the A37in the heart of the beautiful Dorset countryside, Clay Pigeon Caravan Park has been newly redeveloped to a very high standard and is offering large plots for both single and twin unit holiday homes. With the benefit of year round holiday use, and no closed season, you are able to stay in your holiday home whenever you wish. The site is adjacent to the new George Albert Hotel with its excellent facilities and restaurants offering catering to suit all occasions, from snacks to Sunday Carvery or A La Carte Dining. Alternatively why not try the relaxed and welcoming atmosphere of the café bar at the Southern Counties Lodge which together with excellent sporting and leisure facilities is located right next door. To discuss holiday home buying opportunities at Clay Pigeon Caravan Park, Call Surf Bay Leisure today. Vacant plots for single & twin units. The park is on level ground and has an individual parking space allocated next to each plot.